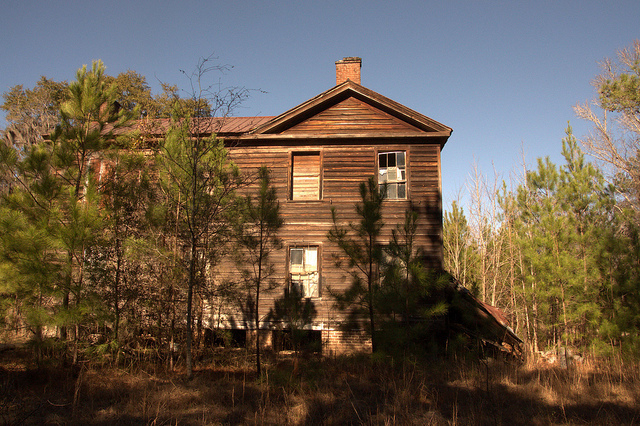 This was probably an old farmhouse at one time but appears to have served more recently as a hunting cabin. 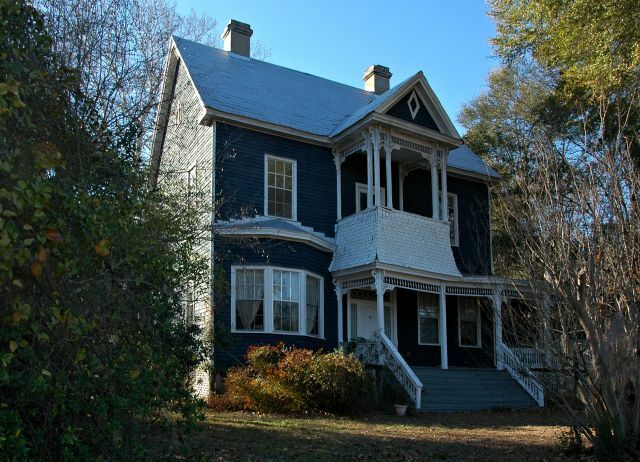 The old store still stands where Jack Leigh shot the iconic photograph “Mr. Hazel and His Dog Buster” for his classic The Ogeechee: A River & Its People. Hazel Frawley and Jack Leigh are both gone now, but many photographers still make the trip to Scarboro to see this old place. Here are some musings by Leigh on his visit to Scarboro: On an old logging road, cracked and broken from years of neglect, where the red clay is slowly covering what’s left of the pavement, Hazel Frawley’s general store still stands. 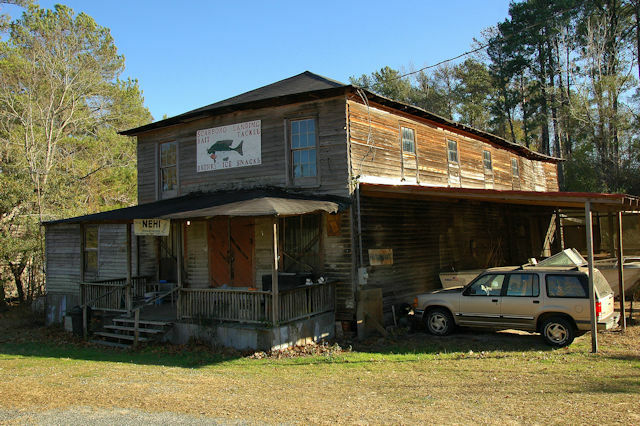 A short distance down the road, the skeletal remains of a wooden bridge stretch across the Ogeechee like ancient crosses in a forgotten graveyard…Nothing much comes this way any more, but the little clapboard store remains open. Mr. Hazel has run this store for over forty years, and he can remember when he sold everything from coffins to candy. The shelves are virtually bare now, except for a few canned goods and several different sizes of wash tubs that hang form the overhead rafters. 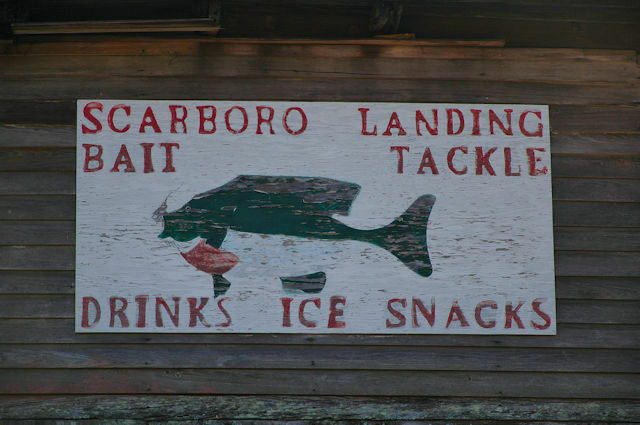 Those who travel the Ogeechee River have been stopping by the store for as long as anyone can remember, stopping by for a Moon Pie and an RC Cola. –Jack Leigh, The Ogeechee: A River & Its People, UGA Press, Athens, 1986. C. J. Bremer wrote to say that his great-grandfather, G. E. Burns, owned this store in the early 1900s. Bob Dailey recalled: My grandparents lived about 300 yards from Mr. Hazel’s store. I spent the better part of my childhood summers on the front porch of that old store. I had a sack full of penny candy in one hand and the other scratching the ears of Buster or one of the other dogs hanging around. 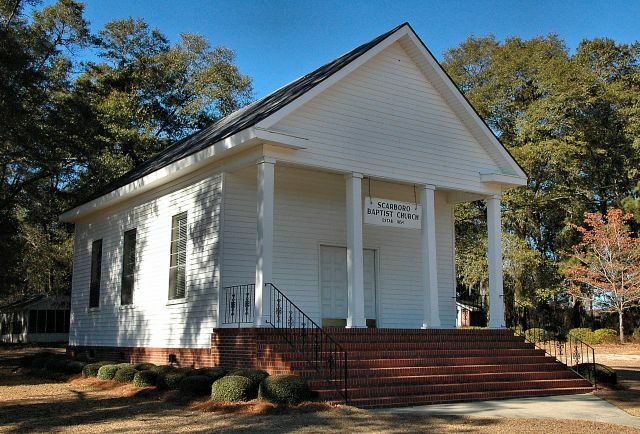 This old building holds a special place in my heart. 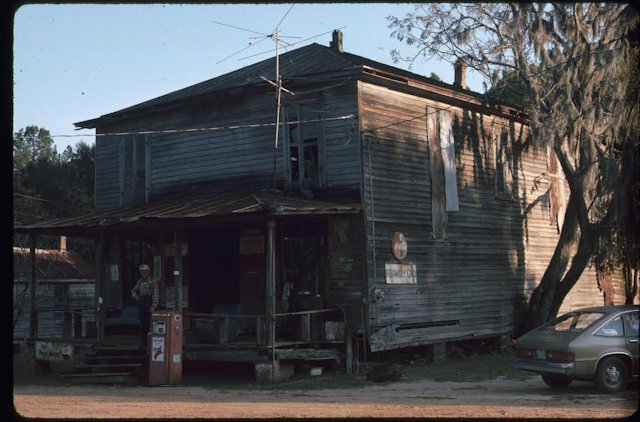 Frawley’s Store, Scarboro, Georgia, 1984. Courtesy Lamar Sanders. Lamar Sanders, a good friend of Vanishing South Georgia, recently shared these archival images from a visit he made to Frawley’s Store in 1984. They are real treasures and offer a glimpse of what makes this place so special. Please credit Mr. Sanders if sharing the archival images. 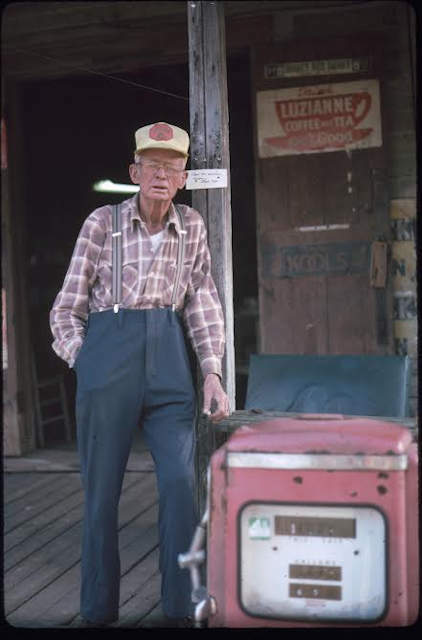 Mr. Hazel Frawley in front of his store, Scarboro, Georgia, 1984. Courtesy Lamar Sanders. Lamar notes: Mr. Frawley did not approve of women going down to the river wearing pants instead of dresses, because he thought pants were a sign of sinfulness. 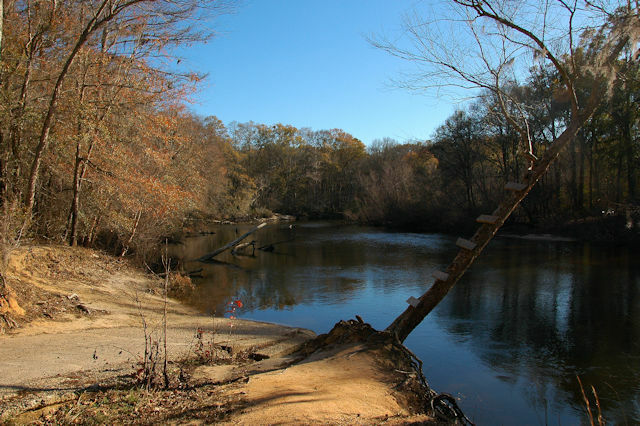 Bob Dailey writes: In winter, my father and other local fishermen sank their wooden paddle boats next to these two trees. My how things have changed. Lamar Sanders shared this image from 1984. In the 1960s, he worked for the U. S. Geological Survey and regularly took readings of the river levels. Please credit Mr. Sanders if sharing the archival image. 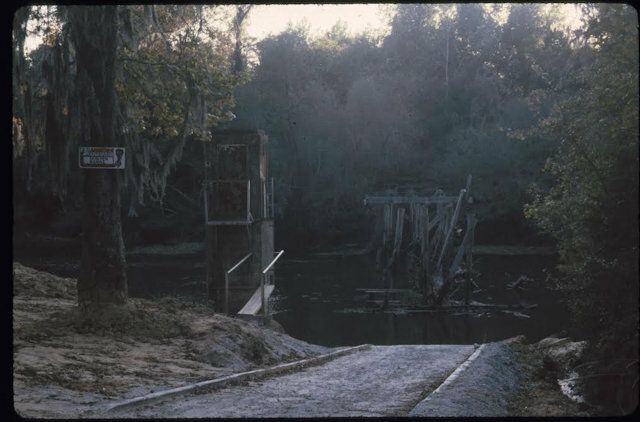 Ogeechee River at Scarboro Landing, 1984. Courtesy Lamar Sanders. 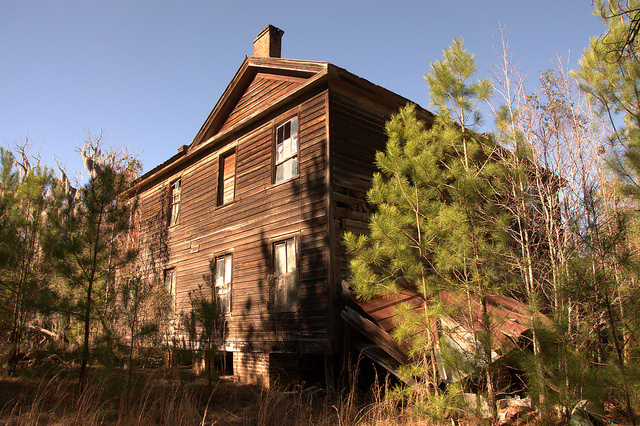 Below is a photo of the side of the house, when it was in much worse repair, made by Lamar Sanders. 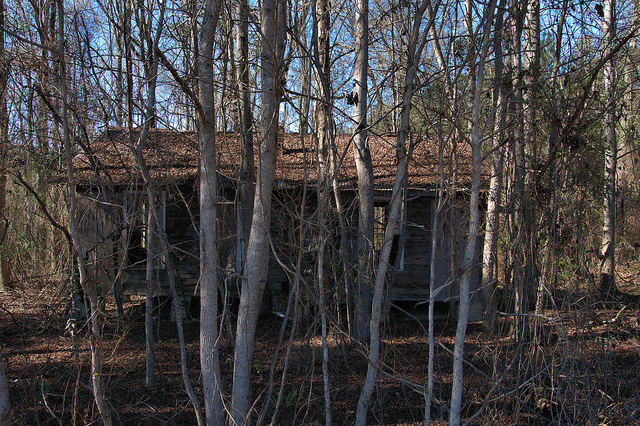 Mr. Hazel Frawley lived here at the time and walked across the lane to his store for many years. 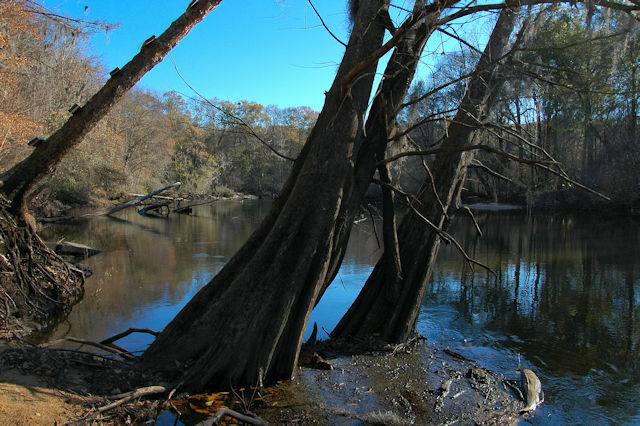 He spent most of his life on the Ogeechee. Please credit Mr. Sanders if sharing the archival image. 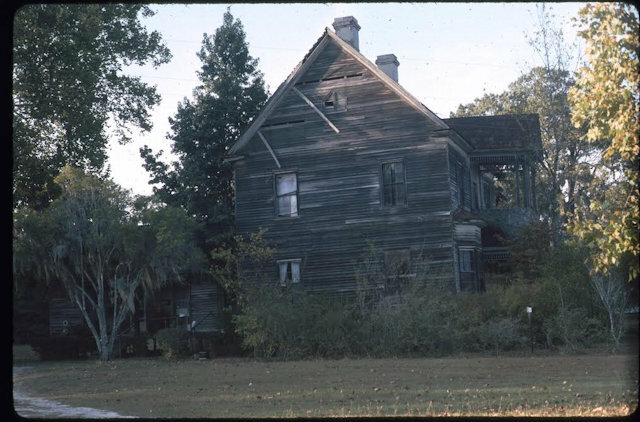 Frawley House, Scarboro, Georgia, 1984. Courtesy Lamar Sanders.